Create a miniature pine needle basket using natural materials. 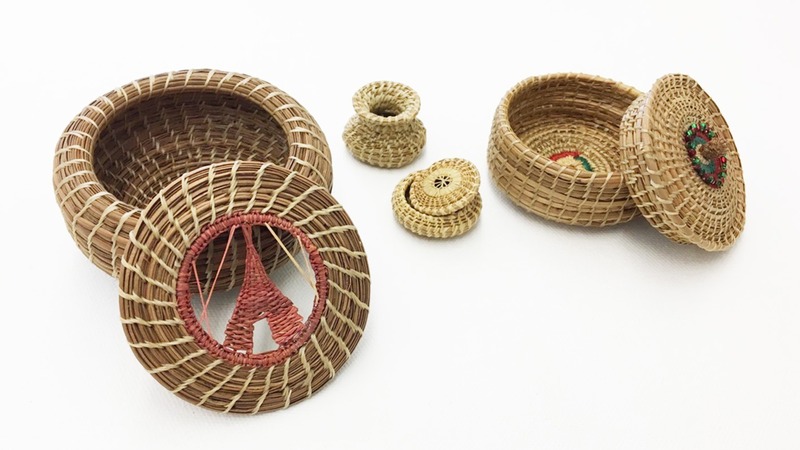 Learn from the basket making tradition of Audrey Frank’s native Nevadan Washoe/Paiute culture. Explore weaving methods by combining pine needles, sinew and raffia in this one-day workshop. Required Supplies: Small sewing scissors, small hand towel/dishtowel. Instructor to provide raffia, pine needles, thread.